This column comes to you on the second day of January, a month named for the ancient Roman god Janus, according to the Oxford English Dictionary. It’s an apt name for the first month of the year on the Gregorian calendar. Janus is often depicted as having two faces, one looking forward, one looking backward. As such he presides over endings and beginnings, and over transitions. 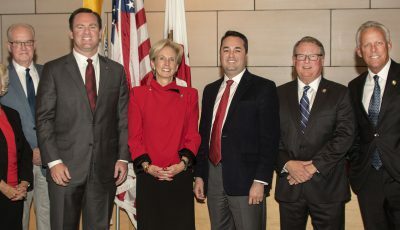 Here in Newport Beach, our city council is in transition. Four council members – Diane Dixon, Marshall “Duffy” Duffield, Kevin Muldoon, and Scott Peotter – are newly elected. These four, aka “Team Newport,” ran a campaign fiercely critical of the former council’s spending ways. They now get to serve with three of those alleged free spenders: Keith Curry, Tony Petros, and Ed Selich. They must now find a way to work together for the good of the city. If Janus is about transitions, I’d argue that he’s also about ambiguity. However tightly one holds on to his or her ideology, good governance requires the tolerance and due consideration of those of differing beliefs. 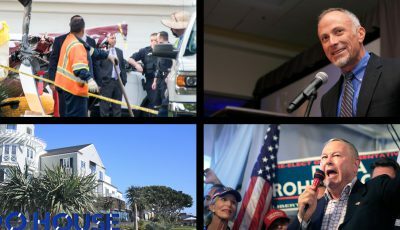 So it’s interesting that the every councilmember, old and new, favored the passage of Measure Y, which proposed a large increase in development, and must now address the fact that the very voters who elected them also voted down Measure Y by a whopping 69.2 percent, according to the Orange County Registrar of Voters. Talk about ambiguity — how’s that going to play out? 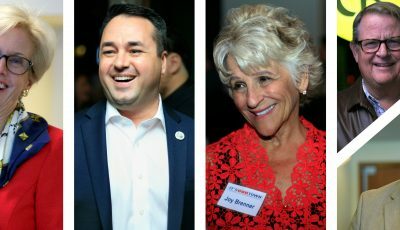 “Gonna be interesting,” was the consensus among those I spoke with at the post-induction dinner the Newport Beach Chamber of Commerce held at Back Bay Bistro. In his initial remarks at the December 9 invocation, Kevin Muldoon had stated he wants to “protect private property rights.” How will he balance that conviction—and what does it even mean? A repeal of zoning? Whose property rights? With the voters’ clearly stated position? That’s a real concern. Will the congenial Duffy Duffield be up to the demands of governing this city? At his induction, he stated that he had “no idea of the complexity of the city.” Let’s hope he’s being modest (what an admirable trait in a politician) and that he was joking when he later said he had no idea of what he was getting into. Will Diane Dixon, who has already displayed the ability to listen and looks to be pragmatic, prove willing to stand up to the Team Newport guys when they over-reach ideologically? Finally, will Scott Peotter step back from obfuscating the business of running the city with his obsession with the white rabbit sculptures that populate the Civic Center landscape? If he persists in this, it’s likely that Peotter will be the hind end of the joke. 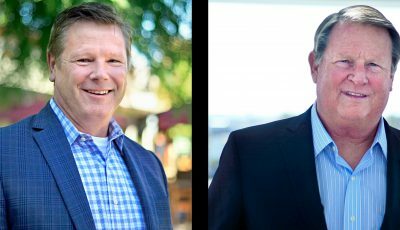 The city has much serious business to conduct, and Peotter barely won his seat (51.1 percent of the vote). Lots of people like the rabbits just fine. Peotter would better serve the community by getting down to work. If Peotter prevails in this, I feel obliged to suggest that the Council begin the New Year with a most appropriate invocation. At the January 13 City Council meeting, let’s invoke the spirit of Janus, that crafty old two-faced Roman god of transitions.